CANTON, OH (September 4, 2009) - Beginning on Wed., Sept. 9, the Downtown Special Improvement District will offer a second helping of their "Downtown Deals Wednesday" promotion. Diners to the participating downtown Canton restaurants will receive one half-priced entrée for each entrée they purchase at regular price. Twelve downtown restaurants will offer this special discount to diners every Wednesday in September and October. The discount is valid after 5 p.m. only. In order to receive the discount, a coupon must be presented at time of purchase. Coupons will be printed in The Repository every Wednesday and Sunday. The coupons will also be available online at www.CantonDevelopmentPartnership.com. This year's Downtown Dining Deals will feature 12 of the downtown Canton restaurants, including Arcadia Grille, Bender's Tavern, Blue Olive, Desert Inn, Fedeli, Iris, Little Chicago Bistro & Sports Pub, Napoli's Italian Eatery, Pete's Grill & Pizza, Peter Shears Downtown, Primo's and Thorpe's Grill at the McKinley Grand. 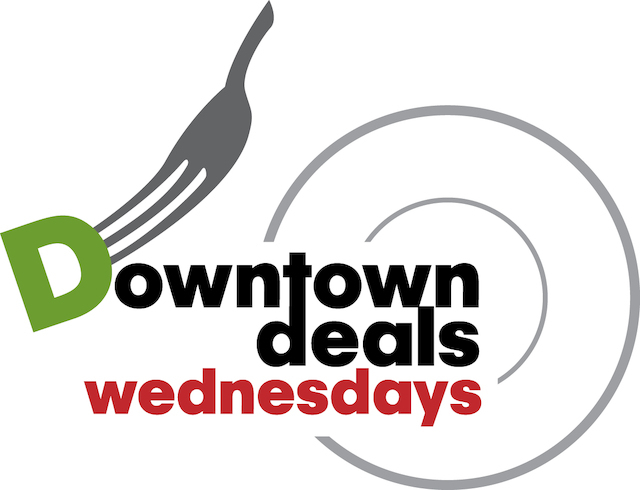 "The Downtown Deals Wednesday promotion is an excellent opportunity to experience some of the incredible local restaurants in downtown Canton. Diners can experience all types of cuisines and enjoy both casual and fine dining with this exciting promotion," said Kelly Blandford Bah, project manager for the Downtown Special Improvement District. For details about Downtown Deals Wednesday, visit www.CantonDevelopmentPartnership.com, or contact Kelly Blandford Bah at kellyb@cantonchamber.org or (330) 458-2063.